The Western United States 100 Mile Endurance Race is one of those races that’s been on my bucket list since reading about it a couple of years ago. 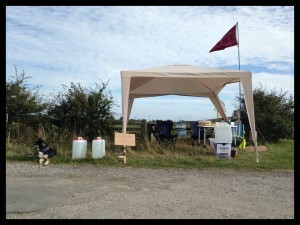 But what’s this got to do with marshalling? Well the Western Unites States race has a ‘service’ requirement for entry as well as a qualifying race requirement. That is to say that all competitors have to have put in a minimum of 8 hours ‘trail work or volunteering’ at an Ultra Marathon within the previous year. While I’m not considering entering the Western United States 100 at this time, it struck me volunteering was a very worthy requirement for an ultra. Getting enough marshals to cover a 100 miles of trail can’t be easy and without marshals these sorts of race would simply not be possible. I contacted my friend and fellow British Trail Running Postcast presenter Jon Steele to see if he needed any volunteers for his upcoming Hardmoors 60 race and was signed up to marshal at Ravenscar. 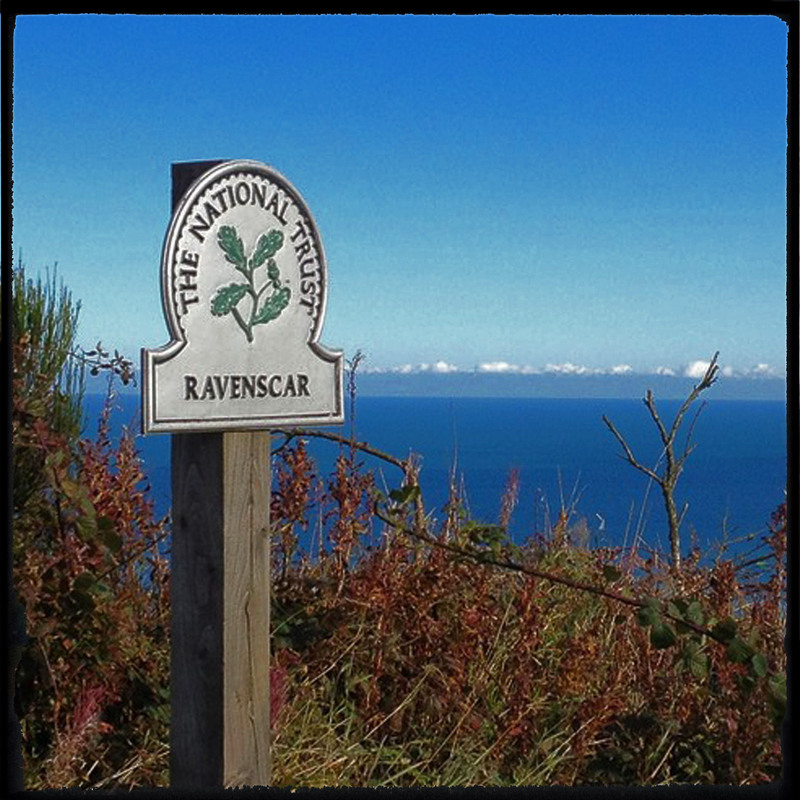 Ravenscar is checkpoint 6 of the Hardmoors 60, sitting at the top of cliffs on the biggest climb of the course, 41 mile into the run and 21 miles from the finish. 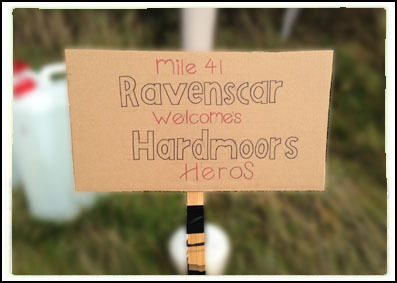 To be honest last year’s Hardmoor 60 wasn’t my finest hour as ultra’s go. I’d only just got back from holiday where I’d been running up and down the trail to the cable car station behind our hotel which was fantastic fun but which had left my legs shot. I barely made it around the 60 within the cut offs and I hated that hill to Ravenscar with a passion. Jonathan Fletcher and his dog ‘Airborne Otto’ were also down to be marshalling Ravenscar. Jonathan and Otto are quite well known in Ultra circles, raising money for the parachute regiment charity. We’d bumped into each other a couple of times at races in the past (including last years Hardmoors), but not really had the opportunity to chat before. 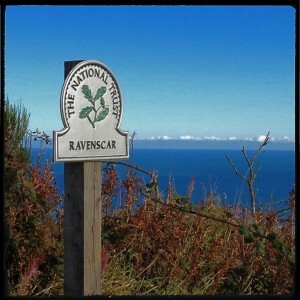 I arrived at Ravenscar just before Jonathan, parked up just past the tourist information office on trail leading to the cliff tops. A couple of minutes later Jonathan and Otto arrived with a car boot full of water and other supplies. 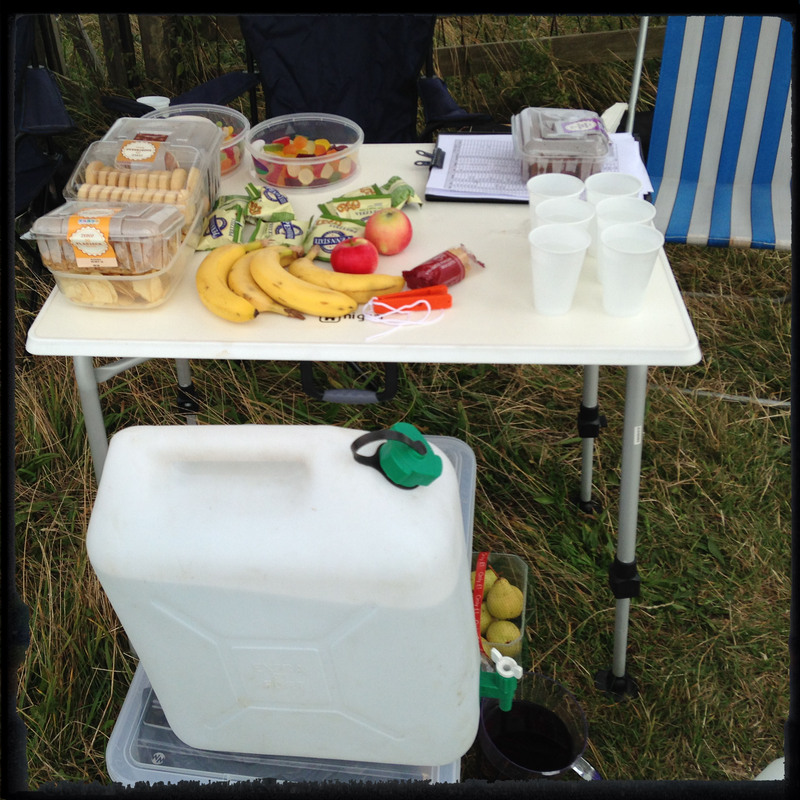 We set up the checkpoint gazebo on the corner, along with a couple of camping chairs and a table, then checked out what goodies Race Director Jon ‘the man of steele’ had sent for our runners; 75 litres of water, a bunch of banana’s, loads of crisps and mini pretzels, a couple of party packs of mini muffins, gingerbread men, brownies, shortbread biscuits and a pack of flapjacks. Jonathan and I added a pack of pears, some apples (stolen from my dad’s garden) a few more banana’s, 2 boxes of Haribos, a pack of special edition xmas Frodo bars and a couple of jugs blackcurrent juice. 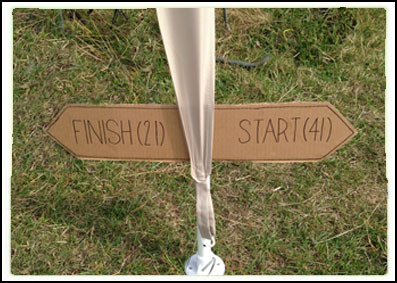 I shamelessly stole the idea of hand made ‘come on you legends’ checkpoint signs from the Montane|Kentmere checkpoint on the Lakeland 100 for our checkpoint, using ‘Hardmoors Hero’s’ as a tag line. Jim Mann, the first runner came in just after two in the afternoon, he looked more like he’d ran around the block than having covered the 41 miles he’s actually ran so far. He was followed about 15 minutes later by the next 2 runners, then there was about a 30 minute gap until the rest of the runners started to trickle through. The vast majority of them looking far better than I remember feeling at this point last year. Both Jonathan and I had a pretty good idea of what the runners had been through by the time they reached us, so while our main job was to check the runners in and ensure they were all accounted for at the end, we did our best to do as much as we could to help them on their way, refilling water bottles and getting them whatever food they were up to eating, while they took a minute to get their breath back and attend to their kit. Poor Otto looked more and more depressed as the day went on, watching as run after runner passed by, while he remained behind. God only knows how many miles Jonathan had to run the next day to make it up to him! Some of the runners friends and family came out to support them, and there was a constant steam of cars coming and going most of the day. Mick Cooper joined us for a while, and even made the teas and coffees whilst he waited for his wife which was nice of him. (Thanks for that Mick!) Thomas phillips also provided some good company while he waited for a lift back to the finish having decided to call it a day at Ravenscar. (He’d only just got back from the UTMB). The sweeper turned up well before the official cut off of 7 o’clock,providing our cue to start packing up. The Gazebo had just about survived the day (despite a having one of the poles bent by a gust of wind), we’d fed and watered everyone, not managed not to loose anybody and even got the 5 DNF’s back to the finish. So all in all a pretty good day. 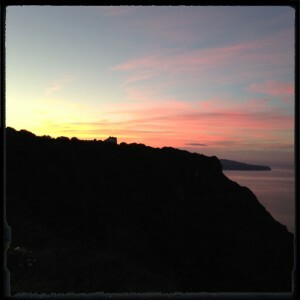 I even managed to fit in a couple of miles run along the cliff tops as the sun set before heading home. There is a small section in the Chris McDougal’s book ‘Born to run’ that really inspires me, it talks about an ultra runner winning a race then grabbing a jacket or sleeping bag and returning to the finish line to cheer on the rest of the competitors as they come in. I’d seen the same sort of attitude in fell race with legends like Joss Naylor often going out in all sorts of weather support runners at on the trails, and it always struck me as being one of the finest attributes of a truly great sportsman. I guess my volunteering to marshal this race was at least in part my contribution towards that sporting spirit, an attempt to put something back in to a sport I really enjoy, and having experienced the day I have the utmost respect for everyone involved in this kind of event , from the race directors co-ordinating the various checkpoints, to the marshals (especially the none running marshals) and to the runs who on the whole were fantastic sports. The Hardmoor’s series has a reputation for being one of the most challenging trail series, but it also has a reputation for being one of the most friendly, a reputation which in my opinion is very well deserved. 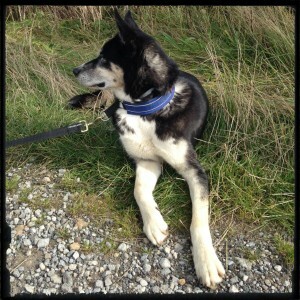 This entry was posted in food, motivation, racing, social, ultra. Bookmark the permalink. Thanks for your efforts (I did like the little signs you’d put up with the distances btw! ), good that you had a nice day weather wise too although it was pretty windy when I got there after that beast of a climb up to your cp.